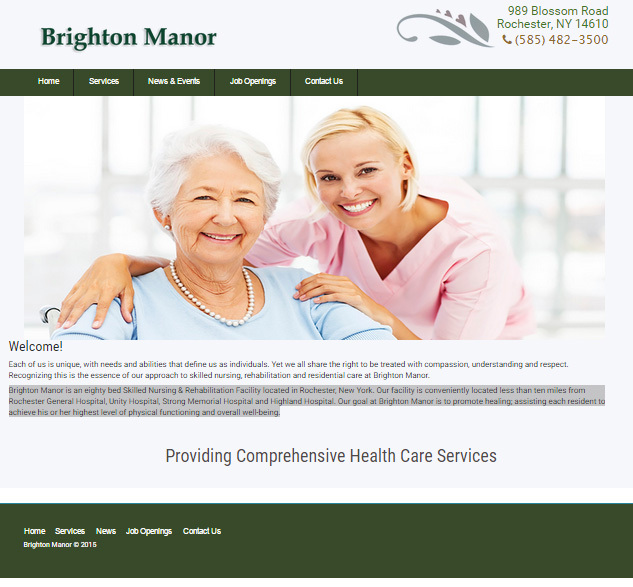 Brighton Manor is an eighty bed Skilled Nursing & Rehabilitation Facility located in Rochester, New York. Our facility is conveniently located less than ten miles from Rochester General Hospital, Unity Hospital, Strong Memorial Hospital and Highland Hospital. Our goal at Brighton Manor is to promote healing; assisting each resident to achieve his or her highest level of physical functioning and overall well-being.